USA Today posted an interview today with Star Wars: The Clone Wars supervising director Dave Filoni. 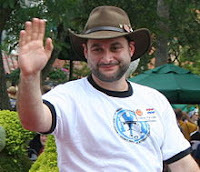 Filoni doesn't give away any new information regarding the amount of story arcs features in the "bonus content" or when or how it will be released. Filoni teases a story arc which appears to about Plo Koon discovering what happened to Master Syfo-Dias. In Star Wars: Episode II Attack of the Clones, Obi-wan learns that ten years prior to the events of the film Master Syfo-Dias appears to have ordered the clone army from the Kaminoans for the republic. Obi-wan was under the impression that Syfo-Dias had died around that time. 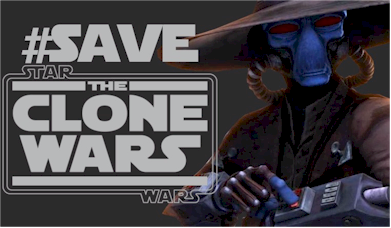 Read the full article 'Clone Wars' still has life in the 'Star Wars' universe at USA Today. We have included a few excerpts below. "There are questions that are pretty big as far as it comes with the Clone Wars and things that people have wanted to know," Filoni says. "They're just these concepts just hanging out there, and finally we're going to deal with them." One of the arcs stars Jedi Master Plo Koon (voiced by James Arnold Taylor), who finds a lost lightsaber while on a mission on a sandstorm-laden planet with a platoon of clone troopers. It's the beginning of a mystery, and one that will make the Jedi question their role in the Clone Wars and the universe itself, according to Filoni. Since the USA Today video begins playing an ad immediately, we have embedded the Pol Koon centric video clip after the break. So will be a season 6 right?